SwedeBro offers a quality line of resinous concrete flooring systems that are stain, slip and chemical resistant and are able to serve multiple high and low traffic areas in various market segments. Products and installation services are available at consortium level discounted pricing. SwedeBro is a concrete floor coatings contractor specializing in concrete coatings and concrete resurfacing. 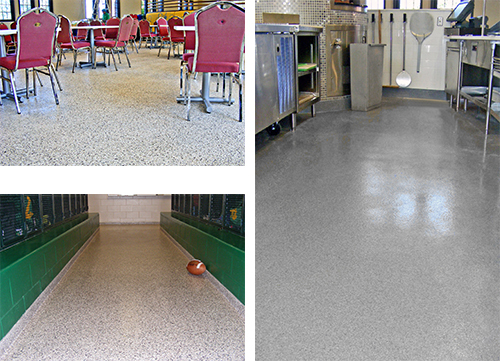 They apply resinous floor coating systems, metallic epoxies, urethane cements, concrete stains, cementitious over-lays, moisture mitigation systems, pedestrian and traffic coatings. The systems produce a seamless coating which can be enhanced with color, vinyl chips, metallic additives and various types of staining. Some of the effects can be quite stunning by producing a mottle "one of a kind" look giving each floor its own appearance.